Alice Ito’s late father Tosh used to drive by the area where he grew up in Bellevue. She remembered how he would chuckle at how much had changed. 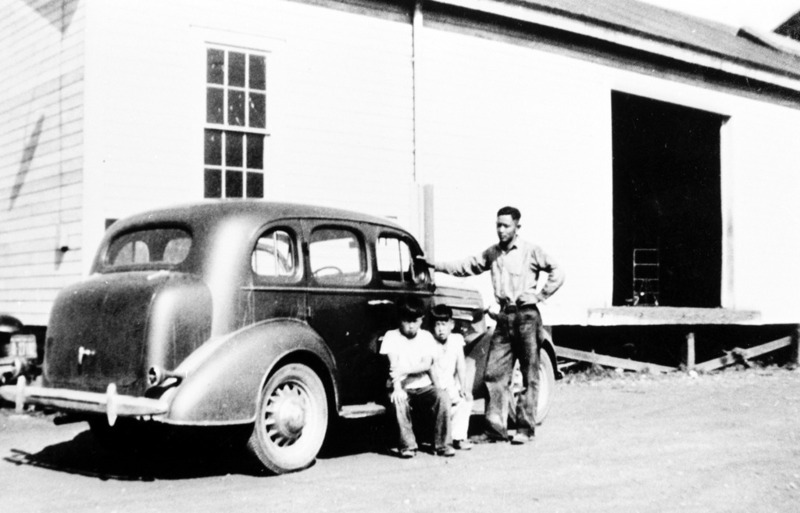 Just 75 years ago, a dirt road led to the Ito family house and their farm. Eventually it was replaced by a four-lane street. Just like the rest of Japanese American families in Bellevue before World War II, Tosh and his siblings helped tend to their parents’ farm in the sleepy community known for its strawberry fields. Almost a third of the students in some Bellevue classrooms were Japanese Americans. This was all before Feb. 19, 1942, when President Franklin D. Roosevelt signed Executive Order 9066 that would incarcerate around 110,000 people with Japanese ancestry living on the West Coast in 10 “relocation centers” during World War II. This included the 60 Japanese American families who were living in the small farming community of Bellevue and who had spent decades clearing and farming the land. Following the attack on Pearl Harbor, some immigrants from Germany, Italy, and Japan were sent to internment camps. Internment of foreign nationals was common in times of war. But Executive Order 9066 was different — the order locked up U.S. citizens of Japanese ancestry who lived on the West Coast, including children as young as two weeks old from Seattle. Freeman’s family — today headed by his grandson, developer Kemper Freeman Jr. — became among the biggest beneficiaries of the development of Bellevue that immediately followed the expulsion of the Japanese Americans who had made significant contributions to making the town a livable community. In Bellevue, Japanese immigrants in early decades in 20th century slowly and patiently built their fortune by doing what white residents had moved away from: they did the back-breaking work of clearing the large and deeply rooted stumps and made Bellevue suitable for farming and homes. In 1930s, Japanese farms contributed to around 75 percent of produce grown in the region. According to 1930 census, there were 523 Japanese farms in Washington state, which translated to about 13,000 acres. Japanese farmers occupied many of the 515 vendor stalls at Pike Place Market in 1939. In Bellevue, the Japanese American community had a community center which was located just north of present-day Bellevue Square. Today, there are some people who try to use the attack on Pearl Harbor to justify the incarceration of immigrants of Japanese descent and Japanese American. But pervasive fear-mongering and discrimination against the Japanese had been simmering for decades and set the stage for acceptance of the Executive Order. For example, in 1921, Washington state legislators passed the Alien Land Law which prohibited “aliens ineligible for citizenship” to own land or enter leases that were longer than three years. The 1924 Immigration Act, also known as the Johnson-Reed Act, ended further immigration from Japan. Washington state Congressman Albert Johnson, the chief author of this act, was Miller Freeman’s close ally, as David Neiwert had found out through researching for his book. The attack on Pearl Harbor provided political cover, so to speak, to get rid of a lot of Japanese and Japanese Americans. Months later, Ito’s parents and siblings gathered their possessions — two suitcases per person was the allowed amount all could bring to camp — and headed to their new home that felt like a prison. 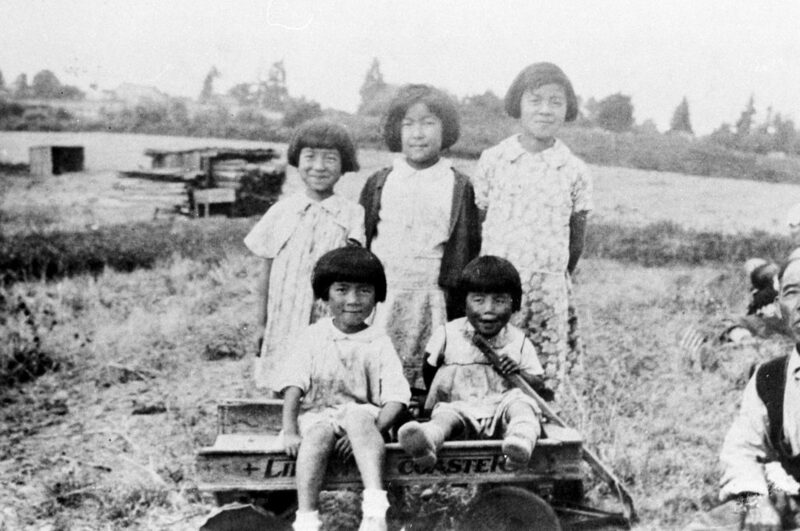 The Ito family first was taken to a temporary holding center in Fresno, California, then to Tule Lake War Relocation Center near the California and Oregon state line and finally to Minidoka War Relocation Center in Jerome, Idaho. Coincidentally, decades later Neiwert would go hunting there with his father, where some of the structures from the incarceration still stood. That spring, crops left by Japanese farmers in Bellevue and elsewhere in the region were not harvested, and white farmers could not fill the gap. The number of stalls at Pike Place Market fell to 196. The Strawberry Festival, which made made Bellevue a tourist destination, did not take place that year. Leading up to the day Japanese families were rounded up to go to their respective incarceration camps, many families had to sell their businesses and properties — as nobody knew how long they would be gone for — for cheap. A few lucky Bellevue families, like the Itos, who owned their land through their American-born children were able to arrange with their neighbors to tend to their farms. But even then, they were not able to avoid people who took advantage of the situation. Tosh told Neiwert of having to sell the family’s car and car equipments such as truck and tractor next to nothing. Meanwhile, almost immediately after the Japanese were forced out of Bellevue, Eastside businessmen — including Miller Freeman — began the suburban and urban development that has built the city to what we know today. With the farmers forced out, the cleared farmland became available for upscale shopping centers and housing developments made accessible with new highways, including the I-90 bridge which was completed in 1940. “Really, the people who were most agitating for the removal of the Japanese were land development interests who wanted to get the Japanese out of this land that the [Japanese] had turned from marginal properties into valuable properties. [Developers] were ready to give birth to the suburbs,” said David Neiwert. 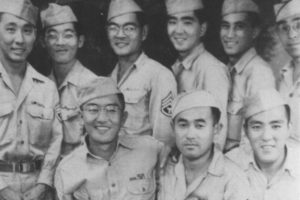 Despite being key members of Bellevue’s community before World War II, the Japanese American families from Bellevue didn’t share in the city’s incredible growth that started immediately after the war and continues through today. By the time 11 of the 60 Japanese American farmer families returned to Bellevue, everything had changed forever. Many properties had been wrecked or set on fire, stored possessions stolen and more and families struggled financially. When Alice Ito was growing up in Bellevue in the 1950s and 1960s, she was one of only a couple of Japanese American students and a handful of students of color in her middle school. It was a strikingly different time than when her father Tosh was going to school in Bellevue. Her father, after leaving his family in an incarceration camp Minidoka to serve in the US Army during World War II, returned to Bellevue to work at the U.S. Post Office. Tosh Ito was the second person of color and Japanese American to work there. Unlike most families that never returned, the Ito family went back to farming the land that they owned after they were released, but not at the same scale as before the war. “To me as a little kid it seems like they had rows and rows of peas and beans and strawberries and we had to water it and plow it and weed it and pick it — to me it seemed like a lot of work but to my dad it was nothing,” said Alice. As was common among the incarcerated families following World War II, trauma of incarceration kept the Ito family from talking about their experiences in the camps to their own children. 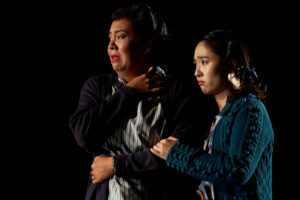 Alice Ito said that she only learned about her family’s history in middle school, when her teacher had asked her to do a report on the Japanese American experience during World War II. Her mother Aki, who was spared from incarceration because she grew up in Spokane which was outside of the order, was willing to talk to her about it more than her father Tosh was. The year was 1968. “I was in junior high and I must have been 13 or 14 and part of it I think I blocked it out. We all had to give a report and a friend of mine who was there in the classroom she said that she remembered that I broke down crying after the report because I was so upset. I kind of wiped out of my mind, some of that, because it was so upsetting,” said Alice. 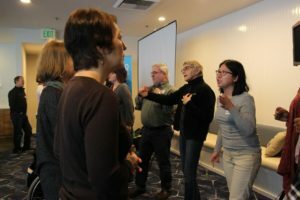 Alice Ito learned more about her family’s incarceration history when she went to Stanford University in the 1970s, during the birth of Asian American activism. 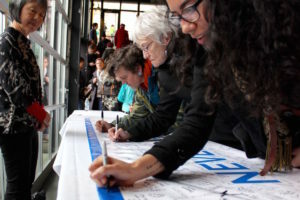 Decades later, she was a volunteer for a project collecting oral histories of Japanese Americans in the Bellevue/ Eastside area, for which some people she interviewed recalled losing property and community gathering spaces that once stood right near where Bellevue Square is today. She also worked for Densho, a non-profit that gathers oral histories and documents regarding the incarceration experiences. 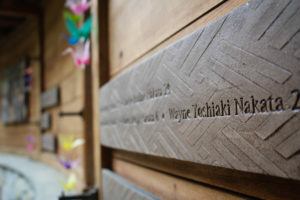 It was there that she discovered the connection between the Freeman family and Japanese American families in Bellevue. Today, 75 years after the Japanese American Bellevue families were ousted from their farms, Bellevue has become a city with skyscrapers and a bustling downtown. But some things are familiar. 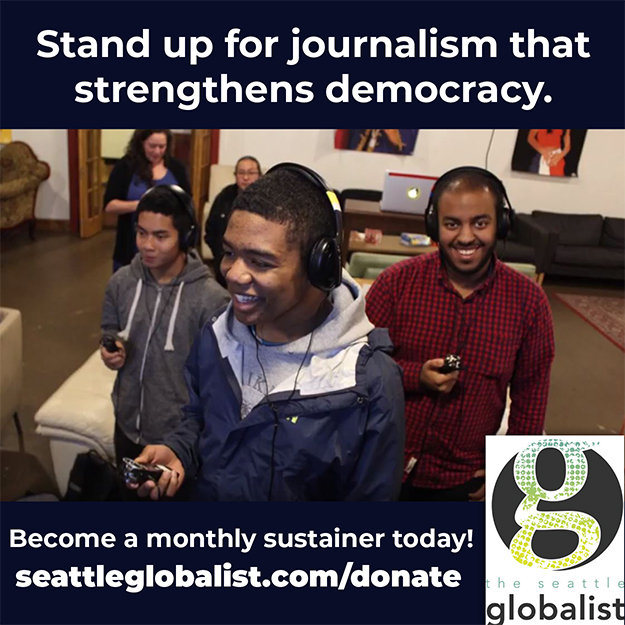 Last year, grandson and current owner of Bellevue Square and the rest of the family’s empire, Kemper Freeman Jr. donated $100,000 to Donald Trump, who campaigned for president using exclusionary rhetoric against Muslims and Mexicans. 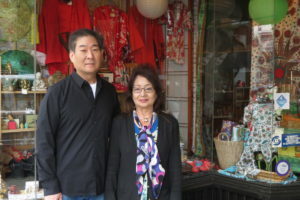 Alice Ito’s mother still lives in Bellevue and they shop at Bellevue Square sometimes. I asked if she thought about the Freeman family history in the region when she’s there. Correction: an earlier version of this article incorrectly stated that the Ito family were incarcerated in Minidoka immediately after leaving their home in Bellevue. They were taken to several camps before Minidoka. Tags: Bellevue, Executive Order 9066, incarceration, Japanese American, Japanese Internment, Minidoka. This needed to be circulated widely. The Freeman family should be ashamed. I agree with H. Reed. This family is the epitome of taking advantage of others for their own gain. Their efforts may have been “legal” but they are certainly immoral. I am so glad that people outside our area realize that Kemper Freeman Sr and Jr. have used their millions to defeat projects for the common good, including the opportunity for partial federal funding of mass transit in the early 70’s. There is evil and good in every ethnic group on earth but I believe mostly good people just wanting a good life. I grew up in Tukwila,Renton,Kent area and remember the first Japanese girl that came to our school. Her name was Nancy. This was in the 60’s. She was smart and nice and funny. But as some people were back then( and some still are)it was made out to be a strange thing. I enjoyed spending time with her and was sad when she moved. When i was in my late teens I was driving through Kent and saw a farm that had her last name on a sign. I thought about stopping to see if they knew her but I didn’t and always regretted it. Also in the 60’s we had the first black girl come to our school and again to me people responded strangely. The teacher gave a speech to us about treating her nicely and respectfully which I thought was odd because we never got this when any other new children came. She also was smart, nice, and fun to be with but she wasn’t there very long and I never got to tell her goodbye. The majority of my girlfriends we’re Mexican and I spent a lot of time at their homes. Their families were very close and hard working. I used to go to Duwamish and pick radishes and strawberries in the summer with some of them. They didn’t have to work their fathers had good jobs. One with the City of Tukwila, one at Boeing and other good companies. But they wanted to earn money so they did it. It was hard work in hot summer heat but we liked it anyway. I didn’t need to work either. We were in junior high then. I just didn’t think about race until later in life when I would see wars and racial issues on tv. I also spent a lot of summer going to work with my dad. He owned the first parking lot across hwy 99 from Sea Tac Airport. When I was in elementary school I would carry the customers luggage and open the shuttle bus doors for them and ride along and hear where they were going to or coming from and other I loved it. I met so many different people. George Weyerhaeuser who I always wondered why he drove and older car and my dad said “because he likes it. I met John Wayne who came to pick up a car that was dropped off for him. Some of the Seattle Super Sonics players and many people that worked at the airport. Pilots, stewardess, skycaps, restaurant, and shop workers. And in all those people I met one man who had a bad day and yelled and made me cry but then apologized. Many became like family. Lelani the stewardess would bring us pineapple from Hawaii ,one man would bring us seafood from Alaska,another showed orchids that many had never seen but some just told me stories about where they’d been and that was my favorite part. One little old lady that lived up the hill from the lot and worked at the airport my dad just started picking her up to go to work. She would just call and we’d go get her. One of my favorite people was Otis one of the skycaps. I would drive him to the airport after i got my license. He would tell me about his life and college(it was required to have some college to get the job. I don’t know if it still is). He was probably 50-60 then. I asked him why he did this job and he said he enjoyed meeting all the different people. This is what we had in common. I wanted to be a stewardess but back then there was a height requirement and I’m barely over 5ft. So when I was in my twenties I was going on a business trip and while getting my luggage out something asked if I needed help I turned around and there was Otis still doing his favorite job. I was filled with joy seeing my old friend and hurried over to give him a hug. It never crossed my mind until I looked at my bosses face that he thought it was strange that I was hugging this old black man. I did think later about the place I worked having to hire a black person due to some discrimination law and he refered to himself as the token. Well the point is there are good and bad people in every ethnic group. White people came here and took the land from the Indians and are now running a pipeline through it,the majority of serial killers are white American men,some Germans were responsible for the holocaust, Russia has a history of violence against humanity. I could go through every country and tell you about bad people. But no one should be stereotyped by their skin color or what others of their race have done. Their land shouldn’t,be taken. They shouldn’t be locked in camps. They shouldn’t be stopped by police. They shouldn’t be banned from our country. We ALL came here as or by immigrant or refugee ancestors. And everyone should be judged by their character and how they treat other humans. Not grouped together and condemned as one. I’m sorry for going on so long but this needs to be said right now while there is so much hate and fear and division going on in the world. The story you told was an important part of history that shouldn’t be forgotten. It’s about greed and hate and racism and it’s taken so many years to get where we were and put laws in place to keep this from happening again and there’s a man in power now trying to tear apart everything this country stands for and has worked for all for the sake of self gratifying narcissistic control. It’s not just the MAJORITY of the people in the US that are afraid of what’s happening it’s the whole world watching in fear to see if we can stop this horrible man from compleating his mission. When his own party is trying to pass a bill less than a month after the election that presidents be required to pass a medical evaluation there is something very wrong and this man has the nuclear code and ties to Russia who puts a ship near the coast by the White House and shoots off a missile the day after one of his staff “resigns” that has worked with Russia before and after the election to make deals for him against our laws. The UN is looking into what to do but we can only hope someone can stop this before many get hurt and our children have no future ! ✌💜👫👬👭🌎👬👭👫hope! were also sent to concentration camps. Thank you so much for sharing your terrific personal story and perspective. I don’t know where to begin in response to this letter. So much hatred of white males in it. I was born in the mid-50’s in Kirkland and grew up in Bellevue. And I am a historian. As far as mass murderers go, white people are dwarfed by the mass killing, going on even today, in Latin America, Africa, and Asia. By non-whites. Yet I don’t blame those people (non-whites)for what a few of each group has done. In the history of mass murderers, most are non-white. Just the facts. I know the Arimaki’s and their blueberry farm at bel-red road and 134th. We lived on 134th and their son was my good friend. The Arimaki’s filled our freezer with blueberries when we moved to the crossroads area. My best friend in junior high and high school was black. Abd why the ignorance and hatred for Trump, who has done more for minorities and legal immigrants than an other president. Can’t stand the guy, but he is doing a great job and the world admires him. There were issues in our past, like any country in the world. But even today we are the least racist country in the world, and we accept more legal immigrants, like in Trumps family, than the rest of the world put together. I suggest the writer review and learn her own history, as well as that of the rest of the worlds. I, also, remember going to school with “camp babies” (-their- term, not mine). I remember our American History teacher in H.S. treating the whole J-A incarceration like it was no big deal, like “the dirty ::Japs:: deserved what they got”, and not-quite-openly snarking about the (J-A) girls running from the classroom sobbing. After I asked about it all at the dinner table that evening .. .. DAMN, did I get an education!! My father must have talked to other alumni & PTA folks, because about a week later the teacher came into the classroom =very= subdued. He also lost his position as Head Football Coach, which was a -big- deal in those days (late-50s/early 60s). Screw him, he ‘deserved what he got’. My only regret was that nothing was ever done about the hypocritical profiteers .. not even ’til today. Gary, I am not Asian, but as an African-American who has lived in Bellevue for over 18 years, AND also worked on the Miller Freeman in the early ’90s, I sympathize greatly with you. I never knew about my ship’s namesake until reading this article. I did know about the Japanese farmers whose land was either taken or ruined once they were “interred”, and the covenenants that dominated this entire area, as I am originally from the Central District of Seattle. Now, thankfully, I have wonderful Asian neighbors on both sides of my home, but reading this article makes me feel ashamed. Thanks for these thoughts Gary. I sailed on the Freeman many times, including several times with you. The sound of the Freeman’s diesel engine cruising along in fair seas is embedded in my head forever. One thing, I don’t think Miller Freeman was a biologist. He started publishing Ranch and Range when he was 22 and went on to a career in publishing. He was active in fisheries policy. After learning just now that he was the founder and leader of The Anti-Japanese League and that the Freeman family benefited from incarceration of Japanese-Americans, I am disgusted that the ship was named after him. Last time I checked, the ship was still in N. Lake Union. Thank you so much Alia for this revealing article! Alice Ito and I worked on a historical exhibit on this same subject. It is stored at the Eastside Heritage Center and anyone may borrow the panels for display. It may not mean much in dollar value, but I don’t shop at Bellevue Square or Lincoln Square any more. My grandfather had a farm in Auburn, Washington and a neighbor took care of the farm when the family was incarcerated. When returning to Auburn Grandpa found out that stores he did business with before going to camp would no longer sell him supplies. I heard of a Jewish man who lived off of Cherry Street in Seattle that was really upset that his Japanese American neighbors had to leave and made payments on their homes so that when they returned he would have his good friends and neighbors back. I have heard of other stories of others who helped the families so all of the white Americans were all bad. I have also heard of other prominent business people who shut the door on Japanese Americans. My father would always tell me to work hard in everything I did. I guess to show I was like the rest or better than the rest. I served in the Air Force for four years and felt alone since there were very few Asians serving. I had to work hard to prove to others I was one of the guys. I was treated equally but witnessed racial tention on my black airmen friends. My family moved to Bellevue from Illinois in the summer of 1941 because my father found work here after the depression. 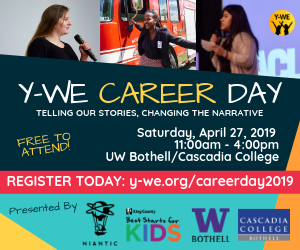 My Uncle Babe, my mother’s younger brother came here in the Navy, stayed and married a girl from Bellevue which is how my family learned about the opportunities here. I remember Pearl Harbor Day vividly and in the next few days my oldest brotherwho was 18 joined the Army Air Force. My younger brother was only 16 but joined the Marines the summer of ’42. I do not remember the Japanese leaving but my grade school was in Medina and there were not many Japanese in school. My parents must not have talked much about their removal possibly because coming from the Midwest they were not involved much in those discussions. We moved into Bellevue by Meydenbauer Park the next year. My mother cleaned houses and worked for the Freeman’s, Millers and Kempers. Kemper and his wife had small children and had a live in nanny, a young Navy wife whose husband was overseas. She and my mom became close friends during the war. I do not remember anything about the Freeman family other than they were very wealthy. My mother later worked at the local bakery on Main Street and ended her job with the Freeman’s. All my relatives living during that time are gone now. I wish I had asked my parents and other relatives with first hand knowledge of those times to tell me their memories. I do know I must have heard something because my attitude about the Freeman’s was negative. However in today’s world, the Kemper Freeman’s, Jr. Live across the street in Bellevue from my cousins and are good neighbors to them. The Freeman’s are not evil. Grandfather yes, but not today’s Freemans. Grandson Kemper just inherited the legacy, he didn’t participate in it and does much for charity. I went to school with Diana Freeman, the daughter of Kemper JR. She was the sweetest girl you would ever want to meet, and her passion was farming. The freeman family should be giving back to the ito family and others who have lost land and money at the hands of the Grandfather , Miller Freeman. That would be the right thing to do. If in the name of charity, a percentage of their wealth and pre-dated earnings dating back to 1942 is in order. Kathae – They gave money to Trump. They are evil. You mean the man who sued to prevent light rail from being deployed across the bridge from Eastside to west? The man who also travels by personal helicopter to avoid the commute he’s facilitated? A real prince. I find it saddening that the author had to include the bit about Trump – seemingly comparing what happened to the Japanese people during WW II to divisive issues we face today. Even if one does not support Trump, illegal (emphasize illegal) immigrants and radical Islamic religious beliefs are not, at their core, racial issues, much as some want to make them.